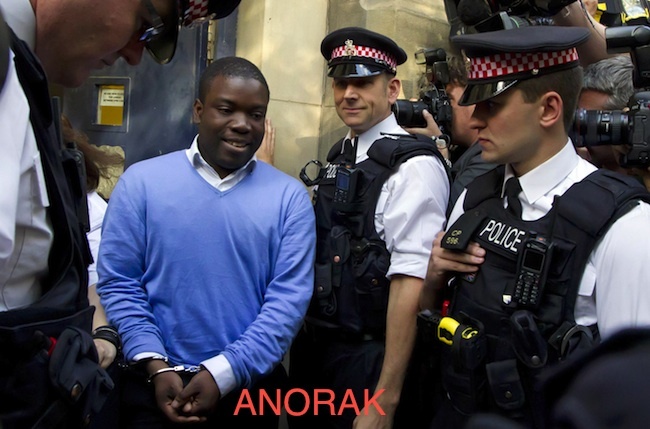 Anorak News | Kweku Adoboli: What Was It He Actually Did? Kweku Adoboli: What Was It He Actually Did? 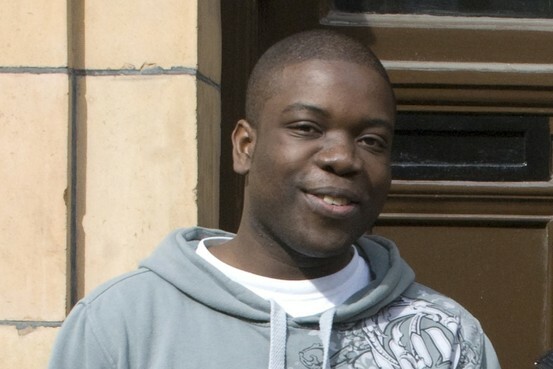 WHAT did “rogue trader” Kweku Adoboli actually do? Well, other than lose UBS a couple of billion that is? At this point our real problem is that we don’t in fact know what is was that he did wrong in order to get into this mess: but something stupid almost certainly. In a little bit of a surprise for those like me who think that the lefties at The Guardian are entirely ignorant not just of finance but of basic numeracy, their reporting today is rather better than that of the Telegraph’s. Anyway, let me try to put together a guide to some of the jargon for you. All that ETF, Delta-1, futures, options, market making and the like. And let’s stick with something simple, gold, to use as our explanation. So, you’d like to invest in gold. You can go out and buy a bar. Shrug, OK, now you own a bar of gold and if it goes up in value, you’ve made money. Or you could buy shares in gold miners. Their costs are going to stay the same, but if the price of gold rises then the amount they get for selling it rises. Their profits are thus tied to the gold price: so gold miner shares are a way of getting leveraged (ie, if the gold price doubles the share will more than double) exposure to the gold price. Or you could go buy a future: this is more leveraged, possibly 10:1, so if the gold price doubles you could make 10 times your money. However, the problem with futures is that you can lose just as much as you win. If the gold price halves then you’ve lost much more than all the money you first invested. Then you can have an option which is like a future but it’s the ability to do something, not the necessity…..and we’re getting too complex, aren’t we? So, along comes the Exchange Traded Fund, the ETF. This goes off and does all those complicated things with options (for a gold options ETF) or futures (for a futures gold ETF) or gold miner shares (for a gold mining share ETF etc) for you, inside the fund. You don’t have to worry your pretty little head about the techniques: you just pick your ETF and buy shares in it. And some ETFs will be bets on the gold price falling, some on it rising and so on. Some on the stock market in general, some on miners, some on gold, some on foreign shares etc etc etc. Thousands and thousands of them in just about every conceivable flavour. Really, they’re just like a unit trust. They let you as the individual investor hire all the clever people to do clever things with your money. So, what’s Delta-1? This is “arbitrage”. Pure arbitrage, which is what they’re supposed to be doing, means buying and selling the same thing in different markets at the same time at different prices. So, we’ve this universe now of gold shares, gold, gold options, gold futures, and we’ve also a parallel universe of gold ETFs, ETFs in gold shares, in gold options, in gold, gold futures and so on. And now the gold price moves. So what happens? Well, all of those related prices are going to move too. Gold options will change in price, gold miner shares will, gold futures…..and then so will the price of all of those ETFs based on each of those different ways of investing in gold. If you know what is in each ETF then you can predict how the ETF price will move with a move in the gold price. And if you’re quick, very quick indeed, you can buy the ETF before it reacts to a change in the gold price. But, that would be speculation, not arbitrage. Because you don’t know where the gold price is going to go next. Arbitrage means you have to sell at the same time as you buy: so, say the gold price has just gone up $1. You predict that the ETF price will go up 10 cents as a result. So, you sell gold and buy the ETF. You have now locked in your 10 cents profit. Doesn’t matter what happens to the gold price next because you’ve bought and sold and the prices are set. All of which is just lovely and there are people who have made fortunes in this sort of arbitrage over the years. There used to be, for example, a decent market in buying shares in London and selling them in New York (or vice versa) because there could be a 5 cent price difference for an hour or two. However, the thing about this sort of arbitrage is that you shouldn’t be able to lose money at it. OK, sure, you can screw up and buy instead of sell and so on, but it just isn’t possible to lose $2 billion doing that. What actually happens is that the temptation is to move from this “pure” arbitrage to “time arbitrage”: or as we really call it, speculation. Instead of buying and selling at the same time, it’s terribly tempting to think, well, I’ll buy this part of it now and then hold on….because I’m sure that I’ll make an even larger profit if I wait 10 minutes. Or a week. No, I don’t know that this is what Kweku Adoboli was doing but I’d say it’s a very good bet that he was. It’s essentially what Nick Leeson did at Baring Brothers. He told everyone he was doing pure arbitrage between the Nikkei (Japanese stock market) index and the underlying shares. But he wasn’t, he was doing time arbitrage and then the market moved against him. Now forget all about gold and imagine that someone was doing this with the Swiss Franc. That’s the gossip about what Adoboli was doing. He’s let his positions move from that pure arbitrage to time such: he’s betting not on a change in relative prices anymore, locking in tiny profits consistently. He’s now got a huge bet on the Swiss Franc moving one way and he makes a profit only if it does move that way. If it goes the other way he’s making a whacking great loss. With all this about the euro, the dollar and so on, the Swiss Franc was going up and up and up as people tried to find a safe currency. And then the Swiss central bank dropped the bombshell: we’re not going to let the Franc go up any further. No way, nohow. It immediately drops 8% (which is absolutely huge for a one day move in a currency). And here’s our man with an absolutely massive bet going the other way. As I say, this is just speculation, piecing together some pieces of gossip and tittle tattle. But it’s informed gossip and tittle tattle. My best guess is that Kweku Adoboli was supposed to be doing pure arbitrage, he got tempted into time arbitrage and that price movement in the Swiss Franc (there’s another more minor set of stories that it was silver) entirely screwed him over. In short, that a Delta-1 market maker stopped actually doing Delta-1 stuff and started speculating and as such ended up entirely fucked.